Experience a personal touch with all of our services at La Migliore Salon. We will take the time to talk with you and listen to your ideas and wishes. Together, we will create a style that is perfect for your hair type, skin tones and facial shape, lifestyle, and personality. You will receive individual attention in an atmosphere that is warm, inviting, and intimate with stylists who are devoted to creating a beautiful image for you. We specialize in many services including cuts, hair color, keratin smoothing, scalp treatments, relaxers, and highlights. Several services — such as keratin smoothing, custom hair color, extensions and wedding and event styling — require ten to fifteen minute consultations. Please select a category below for a full listing of our services with descriptions and prices. Please inform the receptionist if your hair requires extra attention due to length, thickness or a styling change. This may require an additional charge and more time with your stylist. Please note: A $20 credit card deposit is required for all new clients when they schedule their first appointment with La Migliore Salon. This $20 deposit will be applied to the final cost of services. Experience Aveda precision cutting techniques from our certified stylists. Prices vary depending on experience and education level: Junior Stylist, Senior Stylist or Master Stylist. 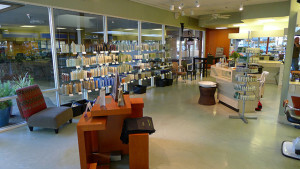 La Migliore’s stylists continually receive advanced education in hair color. Prices will vary based on stylist experience and level: Junior Stylist, Senior Stylist or Master Stylist. La Migliore Salon is pleased to offer a variety of specialty hair services to our clients. Our highly trained and experienced staff can offer excellent recommendations regarding the particular service that you desire.